When the full $106,999.68 is raised, nearly 50% will go toward sales and marketing with the balance toward new hires and working capital. By the end of this campaign, we will be directing all marketing inititives toward the consumer, promoting our merchant's products. Our marketing efforts will include; social media marketing as well as cable T.V and radio. Our CEO works full time guiding the company on a day-to-day basis. Mr. Anselmo’s business experience spans across a variety of industries, including telecom, technology and finance. He’s founded, funded, and operated numerous businesses on these fronts that have experienced significant success during his 40-plus year career. Mr. Anselmo brings this eye for opportunity and ability to lead to LiveShopBuy as CEO. His main responsibilities include operations management, financial management, platform development, and assisting with future development strategy. An entrepreneur by nature, Mr. Anselmo enjoys challenges and thinking outside the box. He graduated from Fairleigh Dickerson University with a Bachelor of Science degree in Business management and enjoys golfing, water sports, snow skiing and wine making. In 2000 Mr. Anselmo designed and launched an LOS (Loan Origination Software) platform called Titan-MMS for the mortgage industry. He later sold Titan to Lenderlab.com a Utah based online mortgage company. He stayed in finance with the Mortgage banking firm AnnieMac managing his own branch from 2010 till 2013 when he merged his branch with AnnieMac East Brunswick. He continued on managing his team of loan officers until June 2017 at which time he focused his full time attention to LiveShopBuy. The LiveShopBuy concept was envisioned by Co-founder, President, CMO and board member, Rich Hanley, a seasoned sales, marketing, and business development executive with expertise in directing creative initiatives. Rich has started multiple companies two of which were in the wireless industry. Premier Wireless which secured the first exclusive national telemarketing contract with AT&T Wireless quickly become one the top wireless sales agents and distributors in the country with revenues over 55 million. Rich eventually sold the company for 10 million a few years after it was started and later the company sold again for over $265 million dollars to a public company. During his time at with 9G Communications – one of the other very successful wireless marketing startups he founded – he grew the company to $65 million in revenues in under 3 years. In fact, he experienced so much success, that friends and associates began hounding him for advice on how to use the internet to grow their own small businesses. 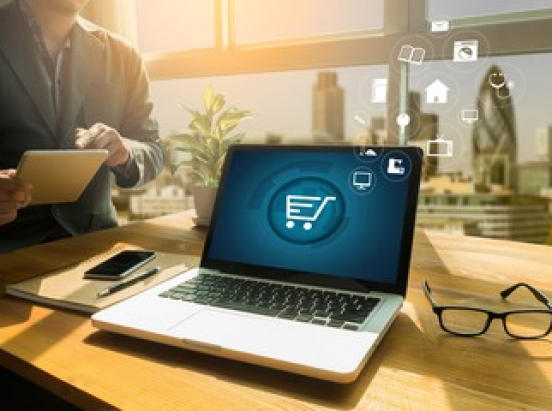 After realizing that there was no cost-effective way for these businesses to drive local traffic to their business or website, he began to act on it – and LiveShopBuy was the result. In 2014 Mr. Hanley founded Elethal a performance based marketing company specializing in lead generation through online and offline lead generation strategies which consisted of Inbound & Outbound Telemarketing (both onshore and offshore), the Internet through online and mobile advertising (CPA, CPL), and search Click-to-Call as well as SEO, SEM & SMM. He continues working with accounts seeking his expertise at the same time working between 30 to 40 hours a week for LiveShopBuy. Rich's primary source of income is Elethal until such time that LiveShopBuy becomes self sufficient. 71% of shoppers believe they will get a better deal online than in stores. By 2019, it is estimated that there will be 224 million digital shoppers in the United States. 69% of online shoppers prefer to shop on an online marketplace such as Amazon. One-third of shoppers (33%) cite convenience as the key motivator to shop online rather than in a physical store. 50% of shoppers are more likely to purchase online if they can pick-up in the store. 57% of shoppers choose an online marketplace because of the ability to compare prices.